I want to share an opportunity with you to be inspired, and to play a meaningful role in bringing justice, equality, and sustainability to our world. I’m happy to report that Social Justice Fund continues to revolutionize philanthropy and fund transformative organizations. We have been able to do this because of your support—and the visionary leadership, hard work, and financial contributions of our members over the last 33 years. Please renew your gift today to keep this work going! 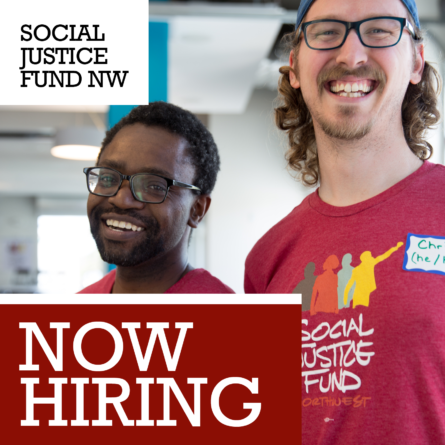 An important part of our mission has always been to make the case for new people to invest in social justice. This is a central goal of our Giving Projects, and over the course of this year we’ve seen incredible progress. Before sharing the big picture, I want to start with a story about one person. Victor found a way to meaningfully engage in creating a better world through Social Justice Fund. He is one of the 100 people that have participated in our Giving Projects this year—each of which have their own story of inspiration. This is the magic of our model. 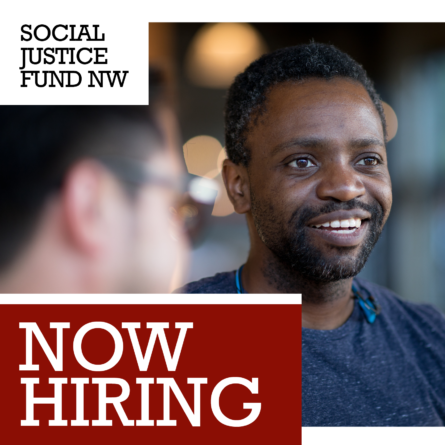 Not only are we raising serious money to support community organizing throughout the Northwest, but we are building community and leadership among real people who, like you, are passionate about progressive change. 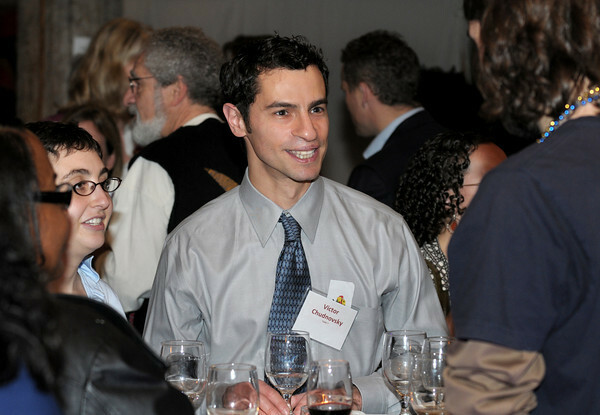 We are cultivating a diverse community of philanthropists, at all levels of giving, who might never have supported community organizing if it weren’t for our giving projects. These Giving Project Participants are in it for the long haul. This is real, sustainable change. Here is what it all adds up to: With five projects completed, the level of excitement around the office is palpable. The 100 participants in our projects have raised over $300,000 for 30 community organizing grants through donations from more than 400 donors—70% of whom are brand new to Social Justice Fund. CAPACES Leadership Institute, based in Woodburn, Oregon. In 2003, Pineros y Campesinos Unidos del Noroeste (PCUN) and 8 sister organizations came together to figure out how to build their next generation of leadership. The result of this meeting was the formation of CAPACES, an independent organization that will bring together multiple generations to build sustainability for the movement. 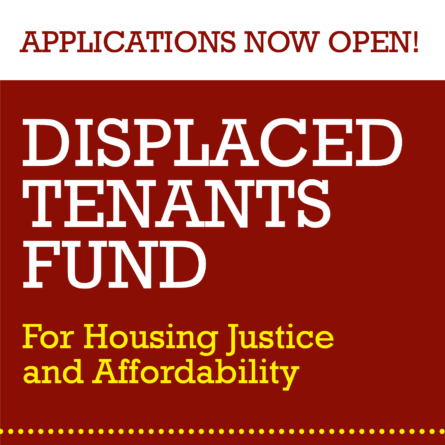 CAPACES was just awarded its first-ever grant from Social Justice Fund’s 2011 Environmental Justice Giving Project because of their visionary efforts to include environmental sustainability in their work. This includes building one of the greenest structures in the country with mostly volunteer labor and reaching out to the environmental community. This grant was especially meaningful because it is part of a long history of supporting the farmworker movement in Woodburn. It was 30 years ago we gave the first ever grant to PCUN. This is an example of the long-term nature of or work. Supporting movements over long periods of time leads to strong communities and meaningful change. This is what you become a part of when you support Social Justice Fund. This year has been a whirlwind of community building, fundraising, and grantmaking for social change. I am in awe of the incredible people that have invested their time, energy, ideas, and money into this vision of better philanthropy and a better world, and proud of what we’ve achieved together. And we’re just getting started. Building off the incredible momentum of this year’s successes, we’ve set an ambitious goal to engage more people and develop more leaders through more giving projects, and move hundreds of thousands of additional dollars to support the most amazing organizations in the region. Your support has brought us to where we are today, and we can’t move forward without your help. Will you renew your membership or become a new member of Social Justice Fund by making a contribution today? Your support at any level is greatly appreciated.